I was thrilled to learned recently that I have been accepted to join the Forbes Technology Council, an invitation-only community for CIOs, CTOs and tech executives. 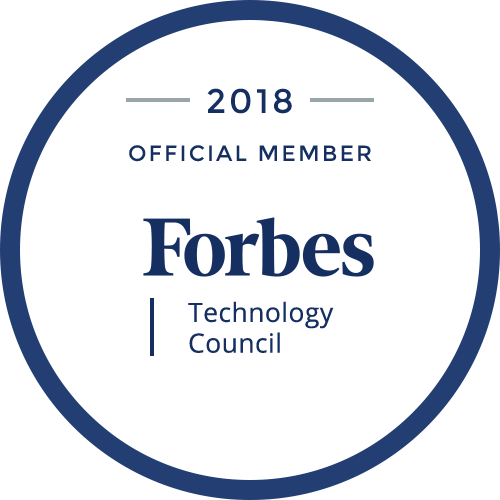 Forbes Technology Council members are selected to become part of a curated network of successful peers and they gain access to a variety of exclusive benefits and resources, including the opportunity to submit thought-leadership articles and short tips on industry related topics for publishing on Forbes.com. There’s so much digital disruption taking place – especially when it comes to AI, such as deep learning, machine learning and chatbots – and I look forward to sharing my insights, opinions and lessons learned with readers, as well as my Forbes Tech Council peers. I’m sure I will also gain valuable insights, ideas and inspiration from them as well. So stay tuned for my regular blog columns appearing on Forbes.com, and I look forward to your feedback and the ensuing discussions they may ignite as we traverse this changing digital landscape together!